It's a beautiful summer morning at the inlet; hot and muggy with blue skies (so far). There is no wind to speak of this morning, so the no see 'ums are out in force. Take insect repellent and lots of water if you head to the inlet today. Over the weekend, things were pretty quiet at the inlet, as far as fishing goes. Tommy Turowski at the Inlet Bait and Tackle Shop reported Snapper were everywhere, but not many would bite. There were a good variety of fish, big Reds, C/R Snook and Jacks visible from the north jetty, but not many were cooperating. The beach fishing has picked up in the glass minnows with some tarpon,snook and jacks in them D.O.A. jerk shads in the HoLo Glitter have been working well. Inshore the trout fishing has been steady to the south with a few reds mixed in. It's beautiful at the inlet this morning. Winds are blowing out of the West at 5 mph and the water is clean and calm. We had rain last night and early this morning, but it looks like the sun is trying to peek through the clouds. We suggest insect repellent as the not see 'ums are out and biting! A few Mangrove Snapper and Jacks are still coming over the rails of the jetties; low light periods have brought hungry C/R Snook. We implore you to please handle these breeders with care! Hold horizontally for a quick photo and get them back into the water immediately, as with any C/R species. Our first two photos today are courtesy of Mike Nicosia of Melbourne. Mike and his buddy Brandon Torok, also of Melbourne fished the south jetty at night and had a great night. Catch and release Snook were hitting suspending lures they were launching into the middle of the inlet. Photo one features Mike with a C/R Snook and photo two features Bandon with a C/R Snook. 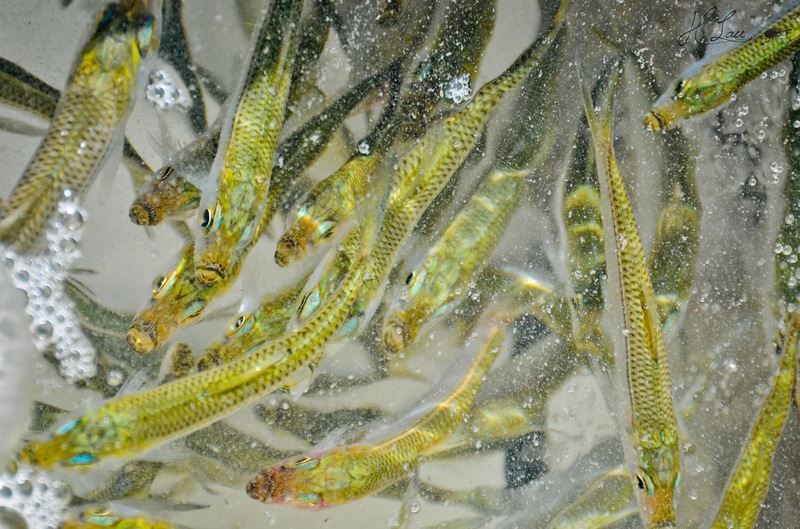 The Snook were quickly released unharmed after photographing. Photo three features inlet regular Bill Hillman of Kissimmee with a good sized Jack he landed using shrimp. Fishing the docks have proven to be rewarding with nice size mangrove snapperand sheepshead! You can also find the c/r snook early morning and late afternoon, early evening. The trout and redfish bite remains good in the deeper water flats, mangroves and around the spoil island but due to the heat....the bite dies after 8am. Back in the Sebastian river the tarpon have turned on for a few anglers and along with the tarpon the reds are hitting around the docks. It has been a very slow bite at the inlet but those early risers have been catching c/rsnook and reds on an outgoing tide. Mangrove snapper, jacks, bonita, black drum and shark have been the catch of the week at the inlet. Anglers fishing the surf are having great luck w/lots of whiting, c/r snook, spanish mackerel, small bone fish, tarpon and shark. We have had a wet morning at the inlet, it's drying up a bit but not sure how long it will last, we could see rain off and on all day today. Today is the opposite of what usually happens in the summer months. We usually see beautiful mornings and afternoon showers, but you can't bet on anything when it comes to the weather. It's best to go to the inlet prepared for everything; sunscreen, rain gear, lots of water and if you're fishing today, patience may come in handy. We've seen slow days at the inlet this past week. 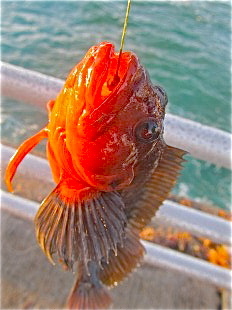 A few Jacks and Mangrove Snapper have been coming over the rails of the north jetty during the daylight hours. 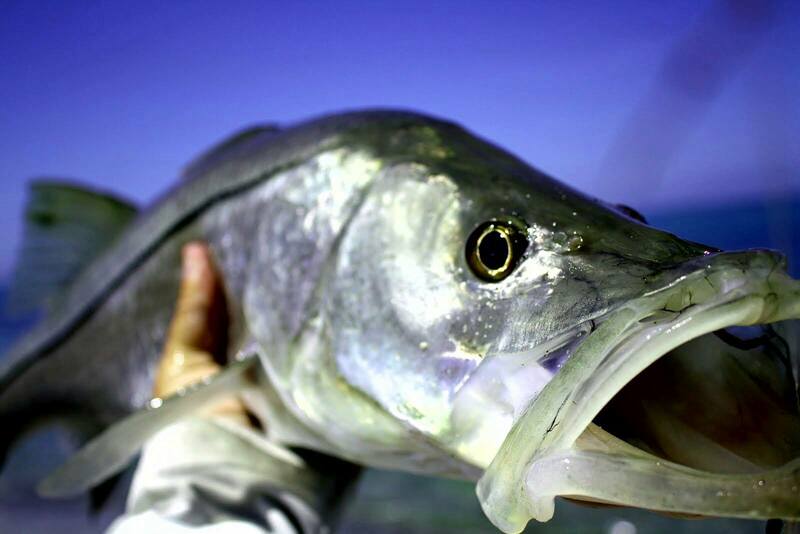 We received an update from Mike Nicosia of Melbourne who reported a great evening of fishing last night for C/R Snook. Yesterday we predicted that lobster hunting may have been more productive than fishing and Justin Foster of Satellite Beach proved the point. Our first photo today is of Justin's 13 lobsters he landed yesterday, the first day of mini-season. Today is the last day, but visibility may not be so great with all the cloud cover. Photo two is of Justin's crab trap he set near the Sebastian River, he got a few crabs to accompany the lobster! Our last photo today features Isaiah Roberson of Winter Haven with a Mangrove Snapper he landed off the north jetty. The Snapper was just shy of the 10" limit, so being a responsible angler; he returned it to the water. As summer continues to bring the daily chance of afternoon rains and thunderstorms, fishing will take the usual second seat to the opening of lobster season. It will be a challenge this year with all the fresh water run off flooding into the area. Visibility will be minimal in lots of areas. Those dog days of August will continue with hot weather, so take the normal precautions while on the water. Trout fishing will continue to be the best bite around the river. Top water lures, like the DOA Airhead, fished early, followed by a DOA shrimp or CAL jerk bait will be productive on the grass flats. 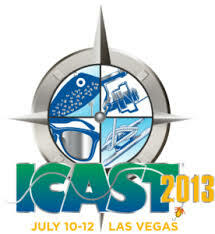 Water quality will be the key this year on where to fish. Queen’s Cove, Bear Point and Harbor Branch are usually active with trout. South of Fort Pierce has held up well with all the rains we have had lately. Fish shallow early and move to the edges of the flats as the sun warms thing up each day. Look for sand holes on the grass flats. Trout love to sit in them and wait for the tide to bring their food to them. We have enjoyed lots of big trout this year on the flats. This month will provide great weather in the mornings for fishing the river. Head out to the docks along the river for snook, snapper, sheephead and redfish. Some big fish will be hanging under the shady areas around many of the docks along the river from Vero to Stuart. Fish your lures slowly. If you use the tide in your favor, the lure will remain under the dock longer and give you a better chance at hooking up. Snook and Tarpon will be active around the jetties, bridges and docks of the river. Live baits, Terror Eyz and Bait Busters will all work well for you. As the rainy season continues, try some of the spillways when the water is actively running over them. A root beer Terror Eyz is a great lure around those areas. 07-24-13 WEDNESDAY: SLOW BITE AT THE INLET, MAYBE LOBSTER IS A BETTER CHOICE! It's another stunning morning at the inlet. Winds are blowing out of the West-Southwest at 6 mph and the water is clean and calm. There are not a lot of folks out fishing this morning, whether they've gotten word that the bite is slow, working or trying to catch some lobsters over the next two days of mini-season is anyone's guess. When the bite slows down, word gets around pretty quickly. A few Mangrove Snapper have been making appearances, but not in large numbers, or size. Schools of baitfish have returned, and that could be the reason the fish aren't biting, they could be filling up on those. Our angler of the day is Ryan Wood of Melbourne. Ryan landed this Atlantic Sharpnose Shark while ocean kayaking north of the inlet. Ryan released the Shark right after the photo. Nice going Ryan! Build an Ark then the rain will part of the plan, one could troll from it. Well the weather man has not slowed his revenge so I will try talking nice about him, no more attacks, for this week, Rain. Lets go to the beach, over cast sky’ can give surf caster more time on the beach and the fish will not disappear getting away from the bright sun. 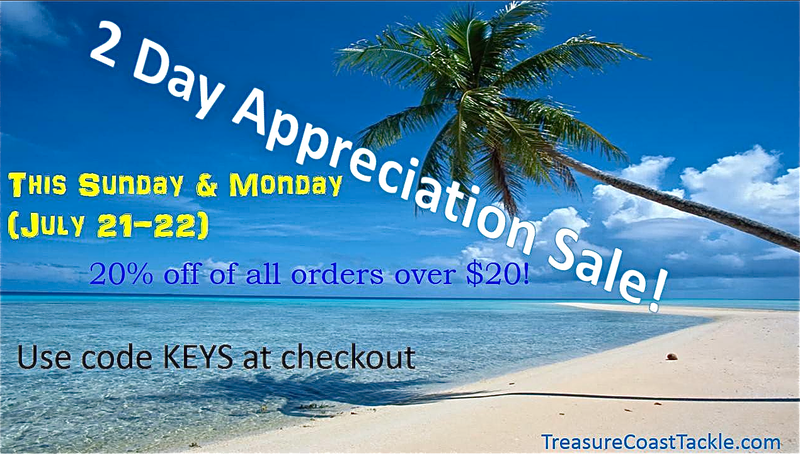 Plenty of baits along with the Whiting and Croakers will keep the Snook and Tarpon up close and on the hunt. Pay attention to bait size and try to match the profile, not to say they will not eat a big bait because they will and then there are those big Jack’s that will eat any thing they can get. These fish will test your equipment, so do not bring a knife to the gun fight. A piece of shrimp on a 4# size hook will find plenty of Whiting and Croaker to take home so do not forget the ice, they are there al day. and if clouds will give us a break the Big Snapper and Drum continue along with theLady Fish, Jacks and a few I let out, bridges have been busy fishing. We have another stellar morning at the inlet. 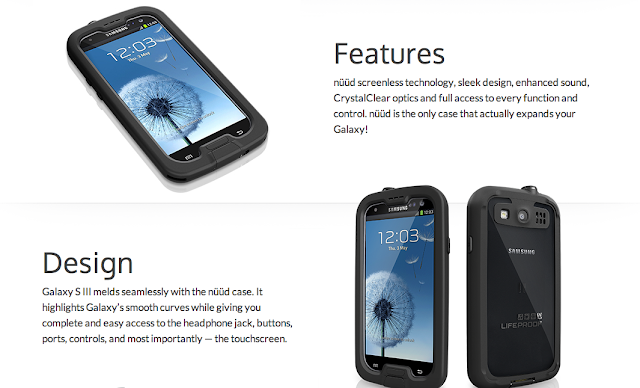 It's absolutely gorgeous! Winds are blowing out of the Southwest at 5 mph and the water is clean and calm. Mangrove Snapper and Jacks continue to be the best bet at the inlet. We've seen some beautiful C/R Snook, big Reds, a few Atlantic Spadefish and Margate and even a few Bonito darting around. This morning has been slow, so far. Schools of baitfish are back and the fish seem to prefer feeding on them than anything that's on a hook. A couple of small, but keeper Snapper were landed, but most have been short and returned to the water. C/R Snook are visible, but must have had a feeding frenzy all night because they aren't touching anything, yet. Our angler of the day is Chris Lockwood of Vero Beach. Chris fished the north jetty at the end of the incoming tide between 6:00 - 8:00 p.m and reported great fishing! Chris landed six C/R Snook using mojarra and croakers. Chris also reported that he saw some clown "passing around" a C/R Snook so others could have their photo made with it, but when it was released it was belly up! THAT IS UNACCEPTABLE, please protect our resources and return those catch and release fish immediately to the water! Hold your C/R fish horizontally, so they are supported under the jaw and belly. Chris released his beautiful 41" Snook that he estimated weighed close to 30 lbs. right after the photo and it swam away unharmed. What a beautiful morning at the Sebastian Inlet! Winds are blowing out of the South-Southwest at 6 mph and the water is clean and calm. What a great day to get out and wet a line! We received an update from Tommy Turowski over the weekend who reported that due to the rain, not a lot of folks were fishing, but there were fish to be caught! Sometimes the rain invigorates the fish and the bite turns on. Tommy reported the most prevalent species remained Mangrove Snapper and Jacks, but big Reds, C/R Snook, a few Margate and Atlantic Spadefish made appearances as well. Whenever you catch a C/R Snook or Red, always hold it horizontally, never hold them vertically, it can damage their internal structure. I know we repeat this mantra consistently, but there are people who only read the fishing report occasionally. Hold the fish under the jaw and belly for proper support and get it back into the water right away if you are photographing! Inshore the fishing has been a little slow with all this rain and this fresh water but there has been a few redfish and trout around Bear point. 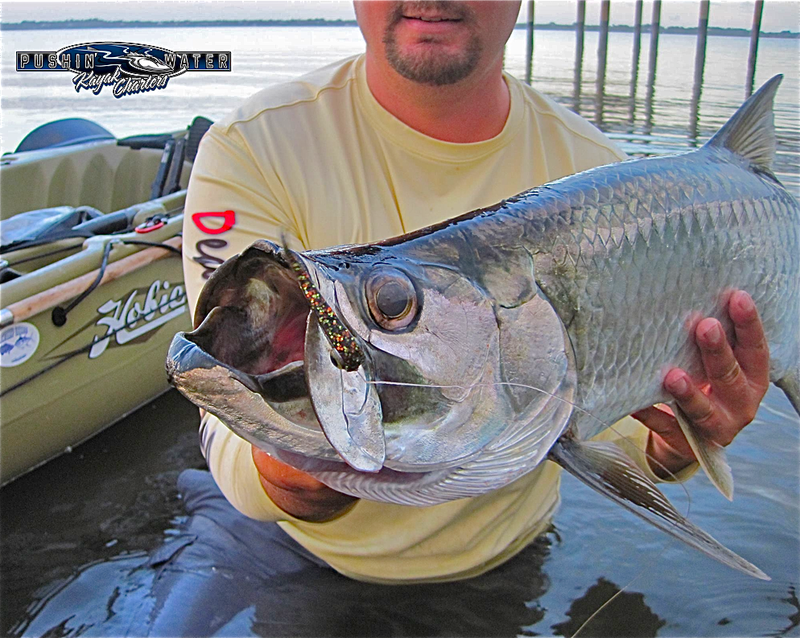 The inlet has had some big tarpon and a few snook on the outgoing tide live bait has been the bait of choice. 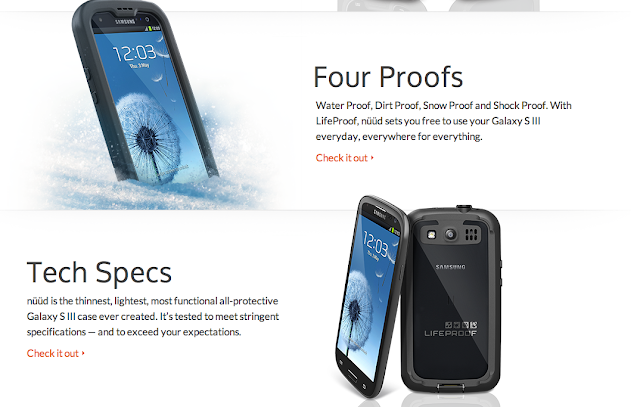 Like The Beach ? Like Fishing ? 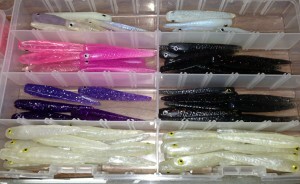 Check out the DDX lures at Juno Bait and Tackle. We have lots of clouds and bits of rain at the inlet this morning. Winds are blowing out of the East-Northeast at 4 mph and the water is calm. Yesterday, you were in luck if you like fighting Jacks. Quite a few good sized Jacks came over the rails of the north jetty, most anglers were using shrimp. Other than the Jacks, a few small but keeper Mangrove Snapper (a few were short and returned) were landed as well. A couple of Spottail Pinfish were landed, but that was about it for the morning. The schools bait fish have all but disappeared around the north jetty but "Big Dave" Hartwell relayed that the south jetty had a lot of baitfish during the evening hours, but not much during the day. Our first angler today is Gilberto Ortiz of Kissimmee with a good sized Jack he landed off the north jetty yesterday morning using live shrimp. Jose Perez of Kissimmee battled this good sized Jack in our second photo. Jose Dore of Palm Bay is featured in our last photo today with a couple of Mangrove Snapper. The rainy season continues along the Treasure Coast with lots of wet weather just about every day. That means that the Lake Okeechobee water will continue to be dumped into the St. Lucie River bringing contaminated water through that area of the Indian River. Taylor Creek is still black with runoff water coming out of it as well. Fishing south of Fort Pierce has been the place to be when it comes to cleaner water conditions. Our best bite has been on the incoming tide lately. The trout bite has been south of Fort Pierce on the grass flats. Early morning top water can get you some of the better action. Try the DOA Airhead as a top water lure and add a pinch weight when sun rises for slow sinking action. 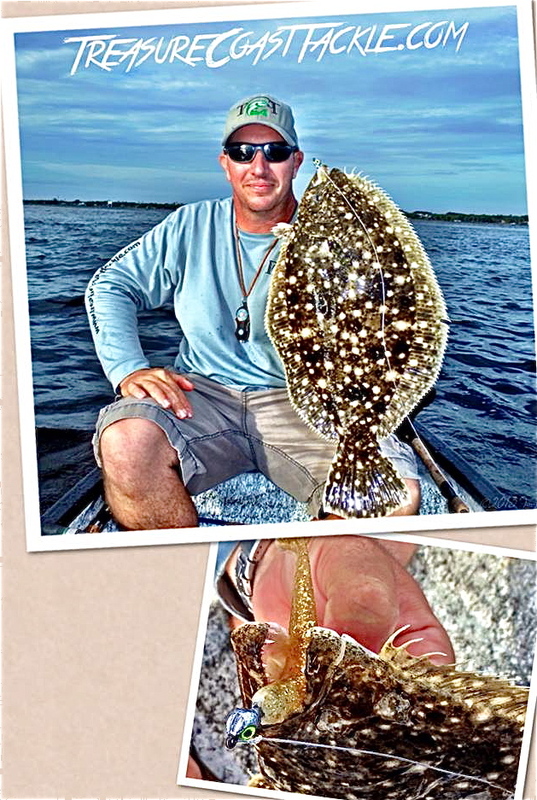 Anglers also have had good luck using a Mirrodine on the flats. The incoming tide has provided the best bite. The redfish have been hanging under the mangroves. I like a CAL grub tail around those areas. 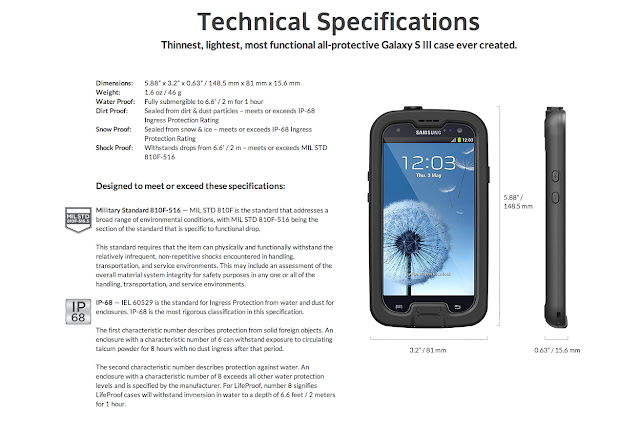 It's small and won't scare the fish when casting under the mangrove trees. There are still lots of snapper around the docks, bridges and channel edges. Snook fishing has been good around the jetties and you can also catch them along the beach this time of year. Fish clean water and you will have your best success! August is almost here. Expect hot weather and chances of thunderstorms most days, so plan your trips around the weather patterns. Storms this time of year can be dangerous and develop quickly, so be aware of your surroundings. Drink lots of fluids and use plenty of sun lotion. Have a great time fishing this month! There are not a lot of people out on the jetties this morning, when the fishing slows down, word travels fast! Patient anglers may bring in a Mangrove Snapper or two, Jacks, C/R Snook or an oversized Red, but overall it's been pretty slow. Our angler of the day is Eric Easterling of Palm Bay. Eric landed this C/R Snook off the north jetty using mojarra on the incoming tide. Eric released the Snook unharmed right after the photo. As most of you, we are over all this rain. It has made alot of the fishing we do this time of year very difficult. Add the cold water we've experienced offshore this month and the relentless wind and its no wonder why the fishing reports have been lacking. Despite the years worst conditions we do hear a good report once in a while. One of those reports comes from Scott and I. 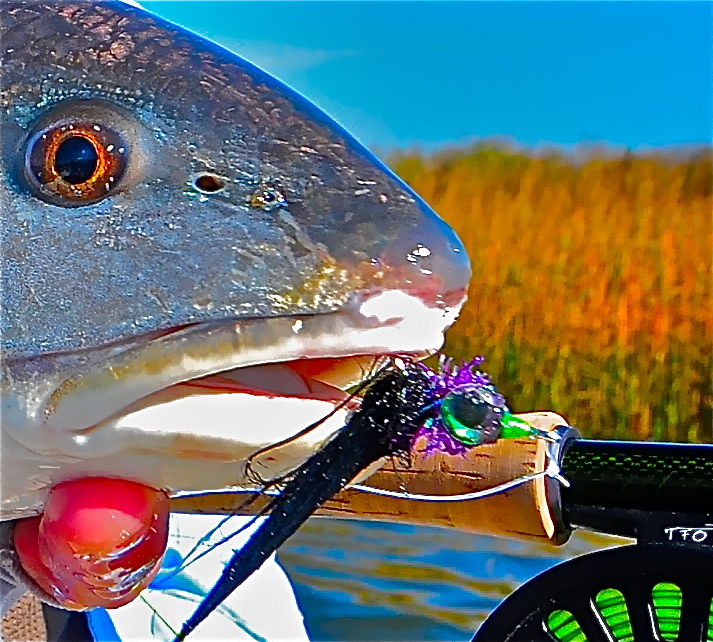 We fished in the river south of Round Island Monday afternoon and cast a fly to three upper slot size redfish. We saw a few snook and a few barracuda as well. The water conditions weren't terrible up there. If your looking for a place to fish this weekend I would consider it a good option. Take some gold colored lures and a rain coat. Inshore the fishing has been ok to the north around the power plant on Berkley Gulps Pearl white and New penny have been the best bet. The dock lights have had some nice snook around them at night and the inlet has been good on the out going tide. The spillways have been producing some nice snook and tarpon on D.O.A. Cal jerk shads in the 371 Avocado/Red glitter. It's a beautiful morning at the inlet. Winds are blowing out of the East-Southeast at 7 mph and there is a light chop on the water. We received an update from Tommy Turowski of the Sebastian Inlet Bait and Tackle Shop who reported Mangrove Snapper, Jacks and big Reds were landed yesterday. There are of course, C/R Snook which need to be handled with extreme care as they are spawning. All C/R fish should always be handled with care; we need to take care of those species so they can go out and make more fish! Please lower your C/R fish back into the water from the north jetty via net. If you need a net to get it on the jetty, use a net to lower it back in and don't keep it out of the water long, just a quick picture and back into the sea! Please don't "bear hug" the fish, it wipes the slime off their bodies, always use wet hands when handling. Our first angler today is Richard Doughman of Melbourne. Richard landed this 31" C/R Snook at night from the north catwalk using finger mullet. This is Richard's first Snook and he hopes to land another when the season opens. The Snook was released unharmed right after the photo. Photo two features Laura Weinberger of Palm Bay with a nice Spanish Mackerel she landed off the north jetty. Rain, rain go away come back again next year. Finally the wind slowed and now it is the rain, beautiful mornings moving to over cast sky's then rain, revenge of the weather man. But we had a pretty good week of fishing, inshore or off, even the surf yielded some nice fish, I know the fish are all ready wet. 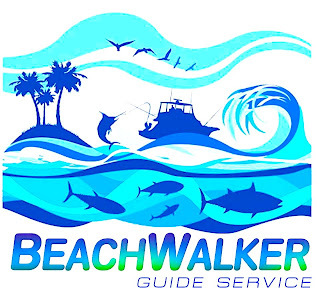 Lets start on the beach, quite a list from Croaker to Whiting with plenty of Snook, Tarpon and Jacks to test equipment. Fishing early for numbers, plenty of baits on the edge brought plenty of Snook and Jacks so close you would wait to see one fall out. time in the river with some quality Trout on the east side of the river and Reds on the west, plenty of Snook, Lady fish and Jacks to keep you busy. Drum, Sheephead, Snapper, and more Snook for the bridge anglers and you are not limited to time, all day bite it has the shade for their comfort zone. This morning winds are blowing out of the North at 8 mph and there is a light chop on the water. Skies are a little overcast and we could see some rain today. Be sure to go prepared for everything if you head to the inlet during the summer months. We suggest rain gear, sunscreen, insect repellent and lots of water. Tommy Turowski of the Sebastian Inlet Bait and Tackle Shop reported that over the weekend Mangrove Snapper, Jacks, a few Spanish Mackerel, Blue Runners and Permit were landed. Big Reds are still out there and anglers using live shrimp or poppers are having luck. The Permit have been going for live crabs on the outgoing tide. Our angler of the day is Bill Hillman of Orlando with a huge, 44" C/R Red he landed off the north jetty on. Bill estimated the Red to be approximately 27 lbs.The big Red was released right after the photo. The beach fishing has been good if you can find the glass minnows with some nice snook and tarpon in them Yo Zuri crystal minnows is the bait of choice. Inshore fishing has slowed down with all this fresh water from the lake but back to the north around the power plant has had some nice reds and a few trout around. This past week we have been experiencing a lot of "fresh" water in the Indian River but with that being said..... anglers are still catching mangrove snapper, black drum and sheepshead around the dock. Best bait to use is live or dead shrimp and squid. Good size redfish in the flats, mangroves and spoil islands. The spoil island just South of the Wabasso bridge is still producing some nice size reds. Thetrout bite has remained good around the spoil islands and the flats..... fish early morning or late afternoon. The snook bite has been hit or miss but they have been very visible around the docks and the flats. Very few triple tail being caught but a few anglers brought in some nice size ones on Tuesday fishing the channel markers. The catch at the inlet has been slow but those dedicated are catching spanish mackerel, mangrove snapper, jacks, permit, bonita, oversized c/r snook on outgoing tide and some redfish on an outgoing tide as well. Anglers fishing the surf are having great luck w/whiting, scattered pompano, spanish mackerel, bone fish, tarpon and shark. From Todd @ Juno Bait - Juno Beach Fla.
Catch and release snook fishing remains strong inshore. The snook are feeding mainly at night around bridges with good current. It’s all catch and release till September, so be careful handling the big spawning females. They are the future of snook fishing for all of us. Mixed bag action on sandperch, snapper, and sheepshead around the bridges. Use small pieces of cut shrimp for best results. Surf/Pier- Scattered mackerel are hanging around the schools of small bait. Snook are cruising the surf looking for an easy meal. Some Tarpon and big Jacks cruising the beach in the early morning as well right now. This morning is hot and muggy at the inlet. Fishing is for the true die-hards who don't mind facing a barrage of no see 'ums. The wind is blowing out of the West-Southwest at 1 mph, which just encourages the little varmints! The wind should pick up some this afternoon, but go prepared for a very warm day. Take lots of sunscreen, insect repellent and water if you head to the inlet. Fishing has slowed down this week but we have seen some catches of Mangrove Snapper, descent sized Jacks, C/R Snook and Reds. Night/early morning anglers have seen some real nice Permit on the outging tide. The bait fish are no longer schooled around the jetties. It looks as if Chantel isn't going to be much of a threat this weekend, but it could bring us some rain which may shake things up a bit, as far as fishing goes. Let's hope so! Our first photo today features Robert Cruz of Kissimmee with two beautiful Permit he and his wife Lolli landed. Robert and Lolli were using live shrimp under bobbers on the outgoing tide to land these gorgeous Permits that weighed 19 and 25 lbs. We have a very calm morning at the inlet. Winds are barely blowing out of the East-Southeast at 2 mph and the water is has a light ripple. We don't have a lot of people out fishing this morning, probably because the action has slowed down. Yesterday it was pretty slow with a few Mangrove Snapper, Jacks and Blue Runners but there wasn't much to celebrate. We understand that some of the night anglers are having luck with Permit between midnight and 5:00 a.m., on the outgoing tide. Our angler of the day is Michael Kuhlmey of Melbourne. 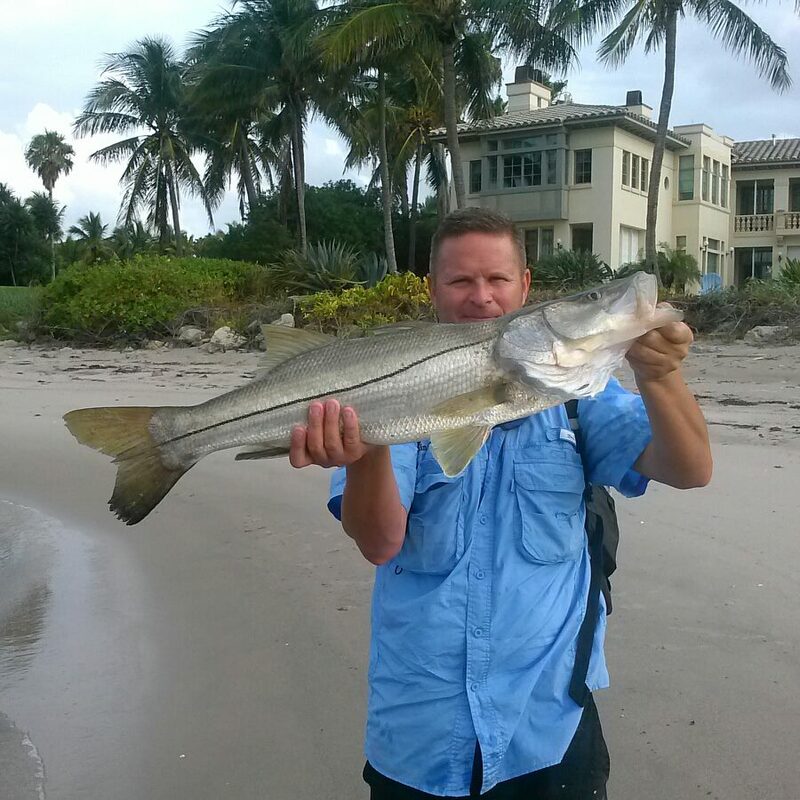 Michael landed the 36" C/R Snook on a greenie at first light off the north jetty. The Snook was released unharmed right after the photo. The inshore fishing has been good with good size trout and redfish to the north along the west bank. 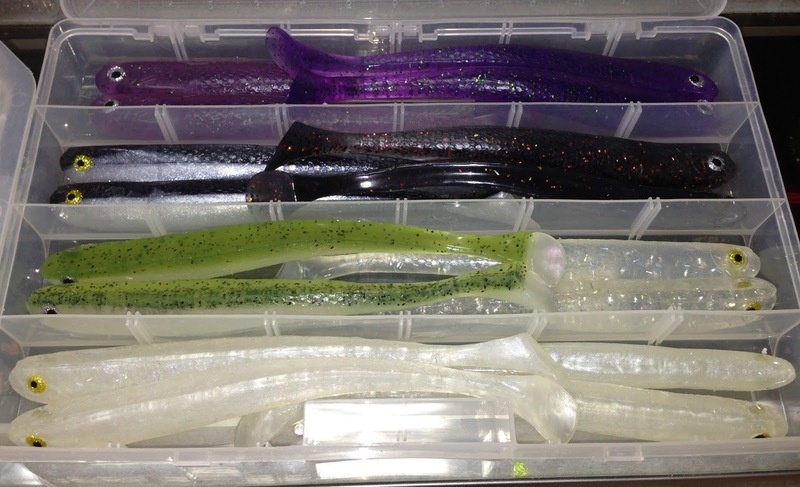 These fish have been caught using topwater plugs at first light, along with DOA soft plastics. The snook fishing in the inlet has been getting better as well with some larger fish being caught on live bait such as pilchards, and greenies. We have another beautiful morning at the Sebastian Inlet. There is a nice breeze blowing out of the Northeast at 8 mph and there is a moderate chop on the water. The greenies (threadfin herring) have just about disappeared. Mojarra have been doing to the trick for Mangrove Snapper, although not many of those are being landed either. There are still some schools of Jacks and Bonito darting around the jetties but they've not been as prevalent and the Spanish Mackerel have been no-shows. The water has been warming up and also cleaning up. The north side of the north jetty is crystal clear again and the inlet is clean but not as clear. The outgoing tide has been most productive, particularly in the early morning hours for anglers using crabs, Permit in the 8 -15 lb. range have been following them out. Other than that, it's been on the slow side. Our photo today is from Trudy Suttelle who landed this male Hairy Blenny yesterday, in full courtship mode, bright red! Trudy said she could tell because when she went to throw him back, he winked at her. 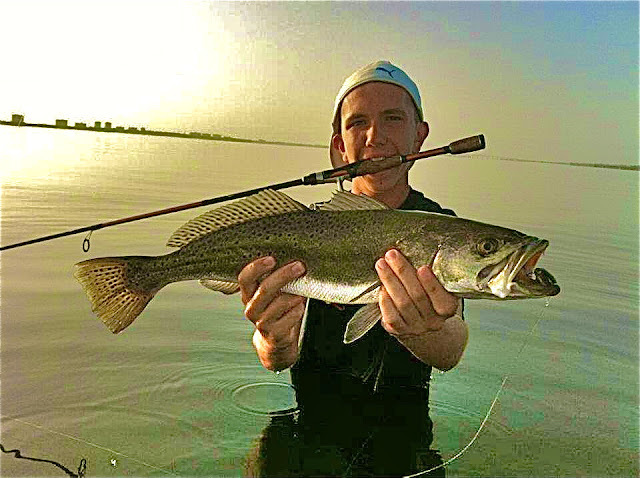 Inshore the trout fishing back to the south has been steady around the power plant with soft baits and live shrimp, Snook fishing is steady in the inlet and around the dock lights at night. Inshore fishing has been good around the Jetty and bridges with Jigs or live bait. 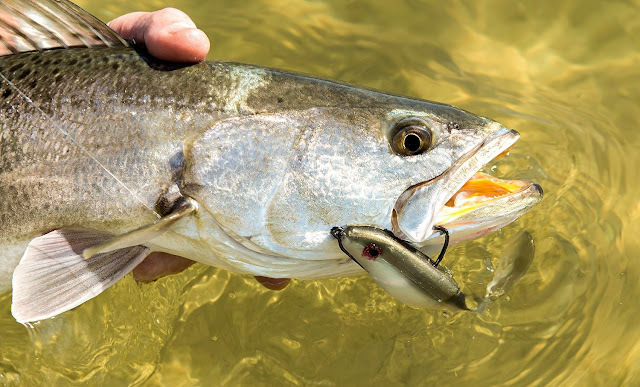 The spoil islands and the deep sides of the flats have been producing good Trout bites as well as a few Snook on DOA or Gulp soft plastics and live shrimp. We have a gorgeous morning at the inlet. Winds are blowing out of the East-Northeast at 3 mph and the water has a moderate chop. The water temperature is warming up again. We recommend insect repellent, sun screen and lots of water if you head to the inlet today. Tommy Turowski of the Sebastian Inlet Bait and Tackle Shop reported that over the weekend a good variety of fish were landed. A lot of Jacks, quite a few Mangrove Snapper; some were small and returned to the water but there were also quite a few in the slot. The regulations state that Mangrove Snapper must be a minimum of 10" with a bag limit of 5 per day per person. Spanish Mackerel and Bonito were active over the weekend and big Reds and big Permit were in play as well. A few anglers that were casting poppers for Redfish ended up with Permit instead. Our angler of the day is Hans Sharp of Jupiter. Hans was fishing the north side of the north jetty using mojarra when he hooked up with this nice 38" C/R Snook. The Snook was released unharmed right after the photo. The inshore fishing was ok over the weekend with some trout between the bridges on the west side of the river live shrimp and top water around first light have been the best bet.The trout fishing back to the south has been steady around the power plant with soft baits and live shrimp, Snook fishing is steady in the inlet and around the dock lights at night. Snook fishing has been good around the dock lights and in the inlet on live bait remember its catch and release please take care of the fish before releasing it. 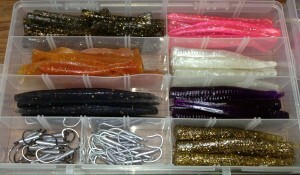 The spillways have been also producing some snook and tarpon D.O.A Terror Eyz have been the bait of choice.